Jacquemus - A version of this dark navy La Mini skirt was seen on Jacquemus' SS19 runway that was inspired by the Italian Riviera. 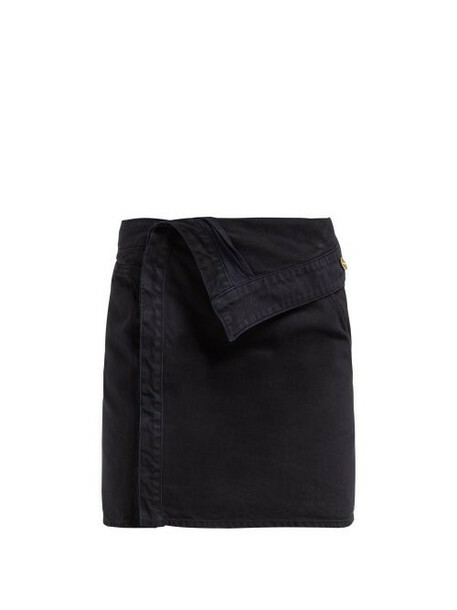 It's crafted from denim that's been deconstructed to fasten at the side of the waist with brushed brass-tone metal buttons and has an asymmetric waistband that folds over the front. Wear it with a one shoulder top and channel the show's styling by pairing with wrapped stiletto sandals.